Back in more basic times when George Lucas first introduced his “Star Wars” universe with the 1977 groundbreaker, a MacGuffin was just a MacGuffin. Now, “Rogue One” is here to change that notion. Billed as the first stand-alone feature in a “Star Wars” anthology series, the film is still a prequel, taking place between Anakin Skywalker turning to the Dark Side and Princess Leia stashing some important plans inside of R2-D2. It doesn’t alter the saga in any way—and has nothing to do with J.J. Abrams’ sequel trilogy that began with 2015’s terrific “Star Wars: Episode VII - The Force Awakens”—but rather fills in the gaps and serves as a bridge for what audiences are already expecting. 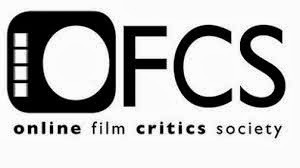 Credit is due to director Gareth Edwards (2014’s “Godzilla”) and screenwriters Chris Weitz (2015's "Cinderella") and Tony Gilroy (2009's "State of Play") for taking a gamble by starting anew and introducing new characters for a one-off entry, while linking these heroes’ mission somewhere in the middle of “Star Wars: Episode III - Revenge of the Sith” and “Star Wars: Episode IV - A New Hope.” Those who never wondered what happened before the Rebel Alliance and Princess Leia came into possession of the plans for the Death Star need not apply. Without any need for a crawl after “A long time ago in a galaxy far, far away…,” “Rogue One” begins with Jyn Erso (Felicity Jones) as a child. 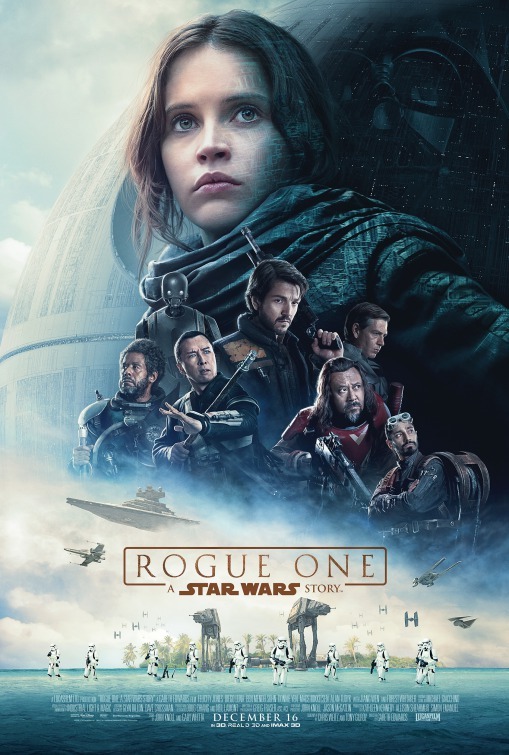 Before her escape, she witnesses her father, weapons designer Galen (Mads Mikkelsen), being held hostage by Imperial officer Orson Krennic (Ben Mendelsohn) to create the planet-destroying Death Star for the Empire. After being rescued and raised by rebel Saw Gerrera (Forest Whitaker), an adult Jyn is now estranged from Saw and in prison. Meanwhile, Empire cargo pilot Bodhi Rook (Riz Ahmed) sneaks a message from Galen to Saw, while Cassian Andor (Diego Luna) is sent by the Rebels to break Jyn out of her cell. Jyn discovers her father is still alive, but when the Rebel Alliance don’t want to steal the plans for the Death Star, she goes rogue with a team, including Cassian, Bodhi, robot K-2SO (voiced by Alan Tudyk), blind monk Chirrut (Donnie Yen), and Chirrut’s friend Baze (Wen Jiang), to find and destroy them. 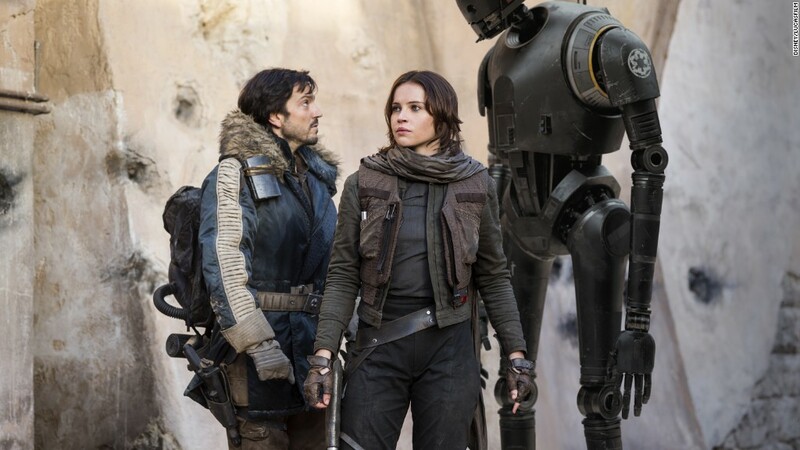 All of the ingredients seem to be here and ready to go in “Rogue One.” Problem is, the debits are too fundamental to shake off. The new batch of characters—nay, concepts of characters—are not fully realized, never offering enough charisma, internal conflict, quirks, or arcs for the viewer to feel emotionally invested. Any film can work even if the conclusion is never in doubt, but there need to be well-defined characters to make the journey worth taking and pop with urgency; as a result, the destination does not feel satisfactorily felt. There’s simultaneously too much plot that underserves the characters as functional running pieces and not enough of a compelling reason to warrant telling this “Episode 3.5” story. Besides the inadequacies in the script, the shooting style definitely takes the “war” in “Star Wars” to heart. Compared to Gareth Edwards’ “Godzilla” or any of the other “Star Wars” movies, there is too little scale here. The pacing is also clunky and the color scheme has a drab, rainy sameness about it that saps the film of much awe or excitement. The visual effects are as tactile as those in “The Force Awakens,” but lump-in-the-throat moments are few. In fact, the most satisfyingly thrilling moments occur in the third act and also come right before the credits roll, and those will kept under tight lock-and-key. Admirably so, “Rogue One” has a largely grim tone and takes more chances than most crowd-pleasing blockbusters ever do, as this is a story about sacrificing oneself for the greater good. Still, for such an eagerly anticipated release, it makes one dump on the concepts of hype and buzz when an underwhelming experience is the result. Without ever transcending into anything more than “sometimes good but ultimately just okay,” this seems to have been made for fans who are pleased by nothing more than spotting Easter Eggs and enjoying the minutiae and logistics of space wars rather than having a rousing, entertaining time at the movies. Not exactly an upper-echelon “Star Wars” story, "Rogue One" doesn’t portend well for pre-packaged fan fiction.